Producer and musician Monsieur Minimal has been creating his unique brand of accessible indie dance for around five years now, but is still relatively unknown outside his native Greece. 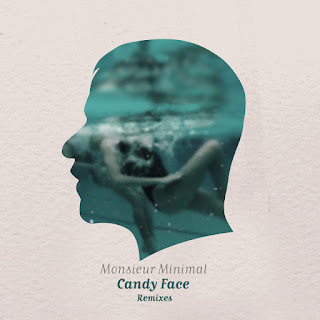 Hopefully this is all about to change, with this fantastic selection of remixes of his emotive and haunting new single 'Candy Face'. The original version can be found on his 2012 LP titled 'Minimal To Maximal', which is also well worth a listen. Highly recommended: the sublime, sunkissed version by E Major a.k.a. Elias Tzikas, as well as the more club-oriented, powerfully emotional rework by Dimi Phaze. The package is out to buy now via Beatport and all major download stores.